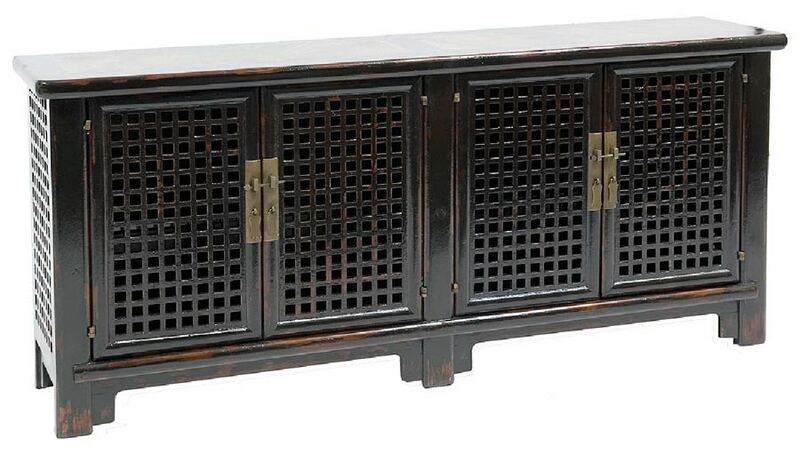 Our Dynasty Sideboard features 2 lattice doors and lattice sides. 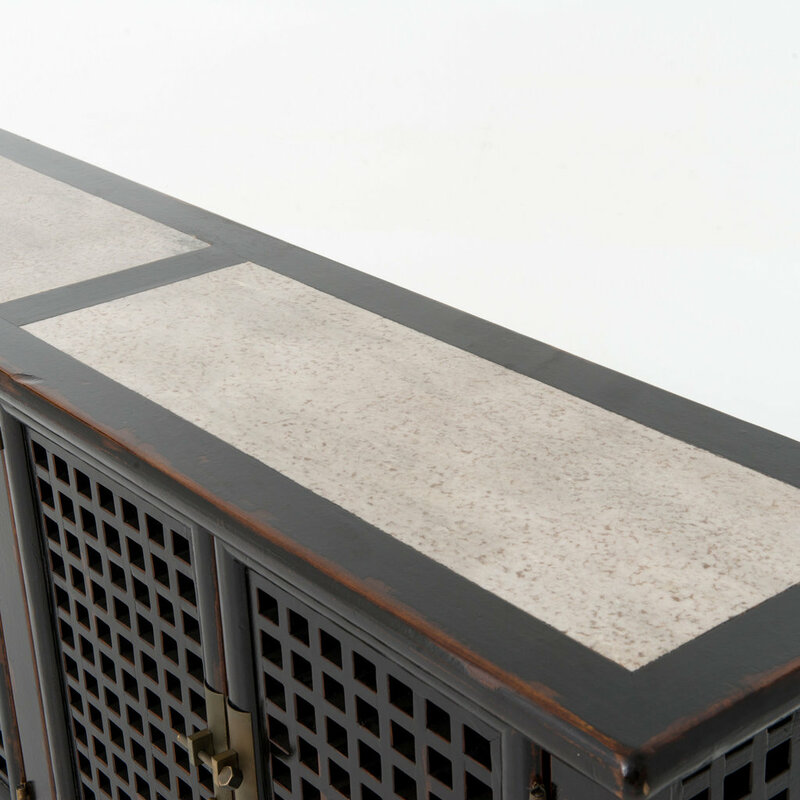 Finished in a distressed black with a marble inlaid top. 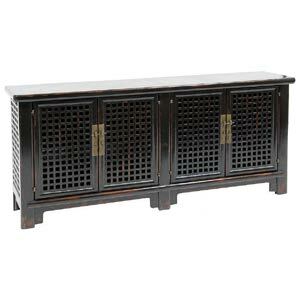 This peice was originally made as a dining room sideboard but it is also popular as a TV stand as well. 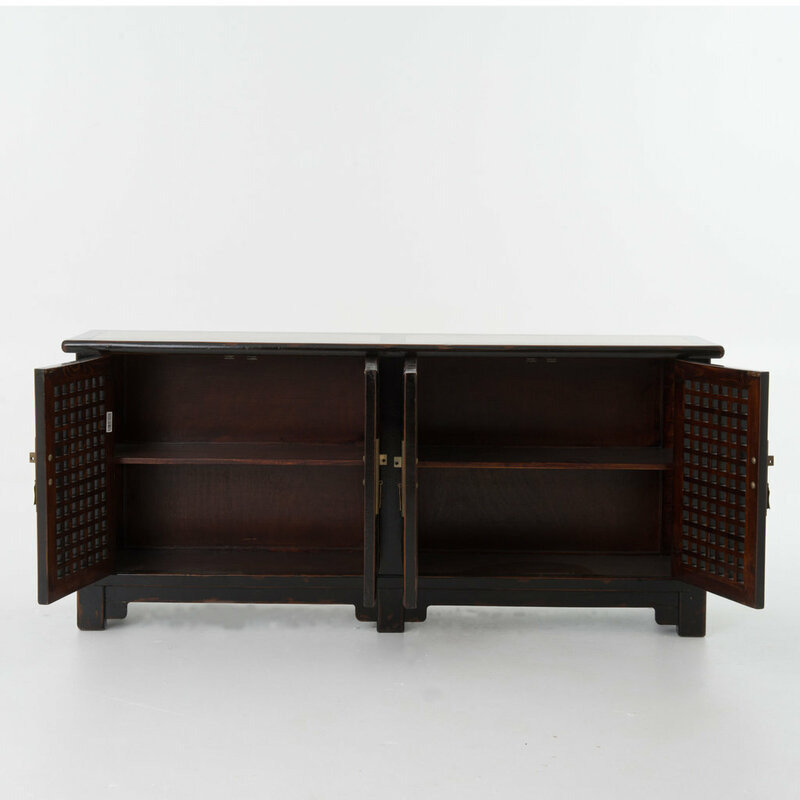 Please note that if you are using this as a TV stand you will need to create your own cable holes in the back. 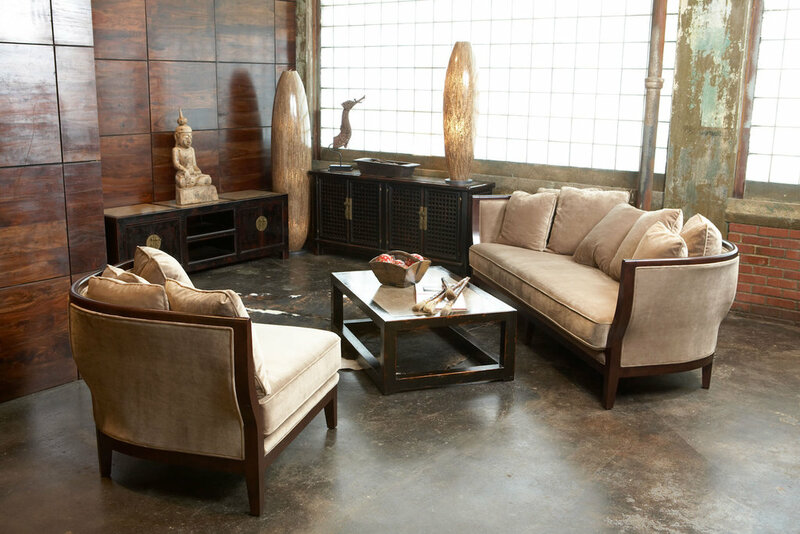 Solid Elm with a distressed black finish.